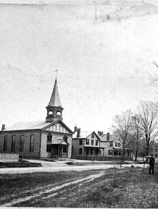 This corner lot between Forest and Bloomfield Ave was purchased in 1848 for $200.00 The actually building was built in 1850 and was composed of only a few families. 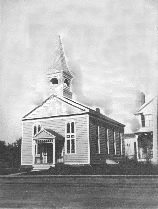 This is a picture of the church in 1890 from the road. 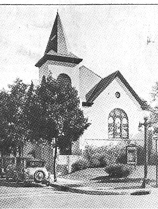 major change in 1913, when an addition was built. 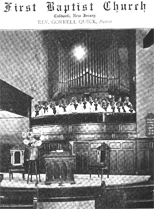 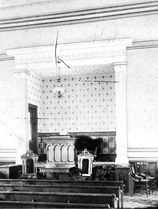 This is a picture of the inside of the church when Reverend Gorrell Quick was the pastor.